Do you ever feel paralyzed by the fear of making a mistake or being vulnerable in your business endeavors? Would you like some inspiration on how to overcome the fear of change so that you can begin to take positive steps toward building your great business, brand, and free living lifestyle? Then brew some nice relaxing tea and take a listen to this great interview I had on “Not Another Sales Podcast” with host Not Another Sales Guy! Using my own experiences as an entrepreneur and while starting FOUNDERS FREEDOM (™), I discuss what I truly believe is at the root of fear when starting a business and provide some tangible tips for how to overcome the fear of taking a risk and putting your passions out into the world. What I feel is at the root of most fear and how to take steps toward building your business, brand, and future of freedom. How my own experiences as a busy entrepreneur led to my greatest epiphany: FOUNDER FREEDOM(™). What I feel is one of the most important things you can do to center yourself and build a successful business, brand, and free lifestyle. Other tips from my own journey from entrepreneur to freedompreneur that helped me get here! 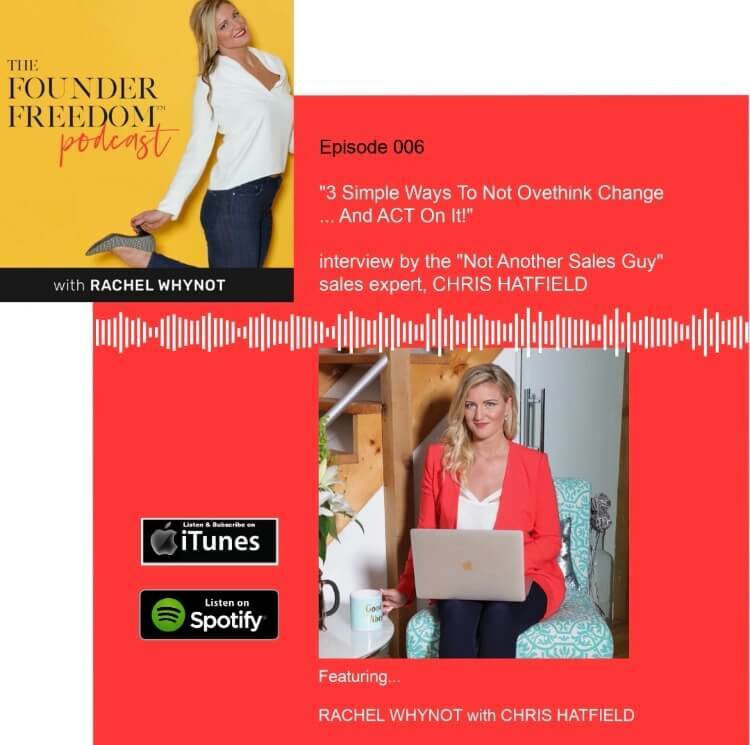 If you liked this interview, check out the other awesome episodes on “Not Another Sales Podcast” for other great tips!